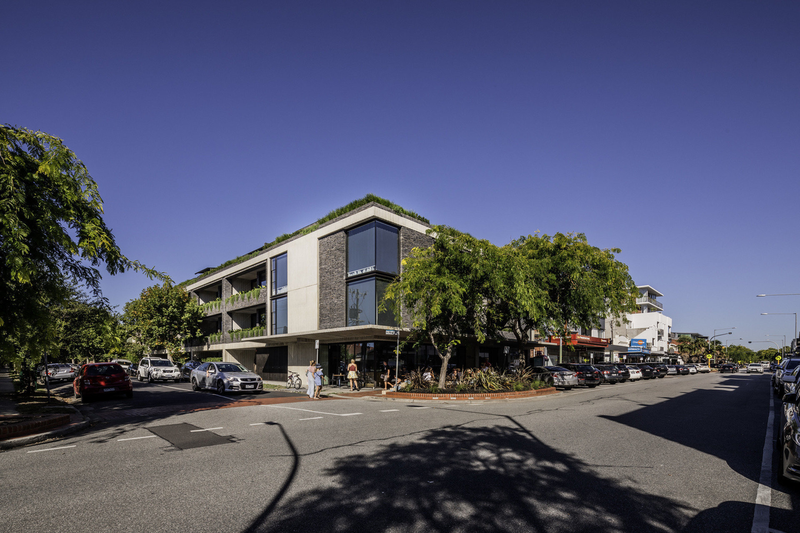 Urban.com.au recently sat down to chat with Woods Bagot Principal Peter Miglis to discuss the firm's more recent residential projects and to get Peter's insight into the apartment market. Peter provides a strong commitment towards the design quality of each project’s solution, from its initial conception through to its construction process. Recognised for his innovative design skills, he has been responsible for many award winning projects. As a Designer, Peter is engaged on a range of key design projects for Woods Bagot globally and is currently working on projects covering the sport, education, residential and commercial sectors. Urban.com.au: There has been a noticeable shift away from high rise to more boutique or bespoke developments of a lower density in the last 18 months. What do you put this down to? A cooling of the investor market? A more maturing apartment market? Peter Miglis: I think it's definitely all of the above, and what we're finding is that there is a market that is maturing, that has become comfortable with the idea of living in apartments. But apartments not as we've traditionally known them, as these minimal requirements and getting the yield up. It's now about apartments that adopt qualities of living in a home, and what I mean by that is having more area internally, having a social network within the complex as well. There's also a pre-requisite that you've got to have a balcony and if you use minimum requirements then they only have to be one-and-a-half to two metres deep - is it practical? Generally it isn't and what you need to do is make the balcony even deeper and go beyond the minimum requirements and make it an extension of the living space. One thing we've been looking at is how does the balcony or open space almost behave like a courtyard space for a house? So we always circle back when we look at apartment planning - how would a house perform and function? And how would we take those attributes and put that into an apartment plan. Maybe one day we don't call them apartments, maybe we adopt another name for them as a fusion between house and apartment coming together. 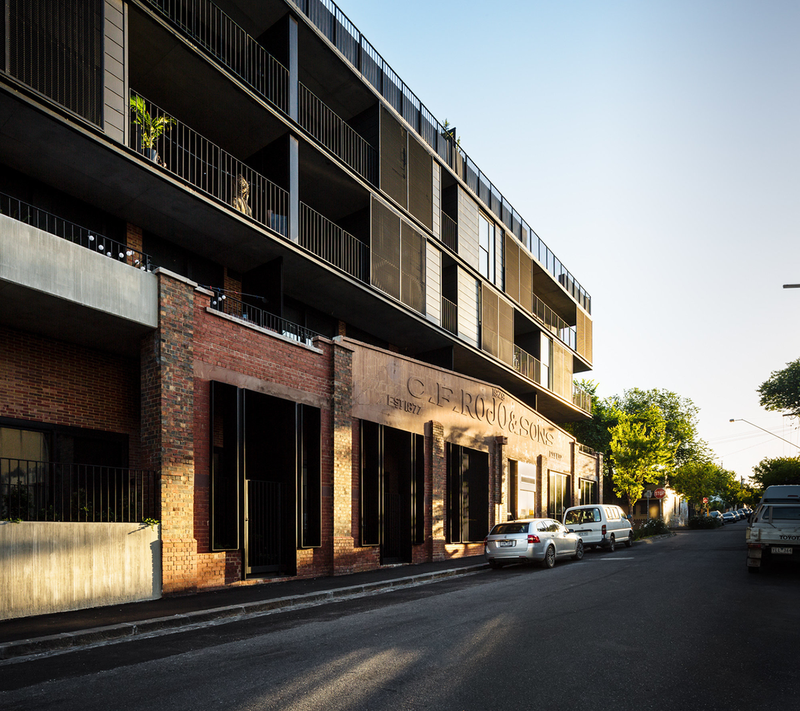 U: Three recent low to medium density examples that Woods Bagot have worked on are CF Row in Fitzroy with Deal Corp, Elwood House with Piccolo, and Short Lane in Sydney with Komplete Construction. The projects are unique in the sense that both internally and externally each has a tactile quality in terms of the materiality, a strong connection between indoor and outdoor spaces, in addition to expansive outdoor balconies, that you wouldn't necessarily associate with apartment projects. What were some of the key drivers for these projects for Woods Bagot? PM: Each of those examples that you cited are all in different locations and so for us it's a question of how do you harness the DNA of those neighbourhoods and fuse it into the design of the apartments? So that there's a sense of belonging to that place. It was about grafting these places into their context and allowing them to organically contribute to those areas. People want to live in these locations because they authentically want to live and be a part of those particular neighbourhoods. The other thing these projects do is they consider the choice of materiality and how we approach them from that angle. 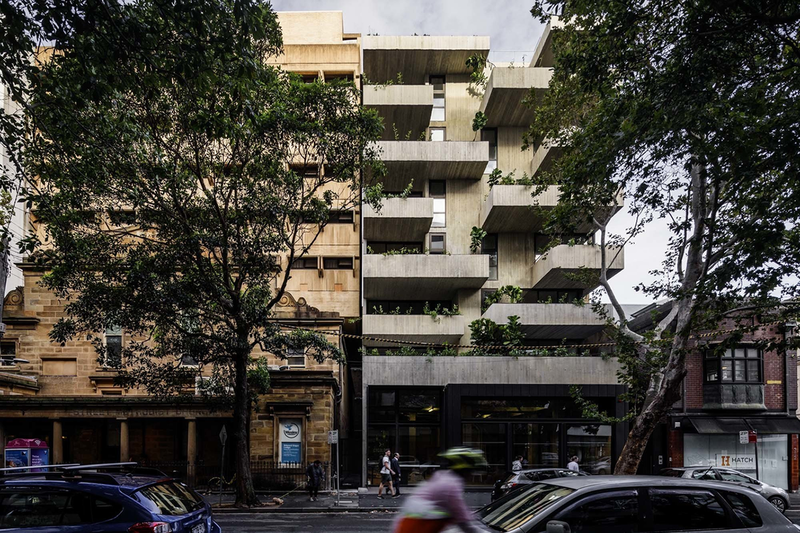 For example, Short Lane in Sydney was about creating this 'urban oasis' in this very urban context, and providing people with that relief of green spaces in their apartments. Ultimately, each solution is bespoke for its location and I think that's that 'magic' that gives it a real spirit as a place, rather than it being something that lacks any sense of identity and could be anywhere. For us it's fundamental that there's a strong contextual connection back to its neighbourhood. U: Building on that, from a design perspective it would appear that a greater degree of rigour and care is required in the design of apartments than maybe we have seen previously. What do you need to distinguish a project in such a competitive market? PM: I think it's definitely the internal spatial amenity of the apartment, providing spaces which function and are larger than the minimum standards, but then there's also the care to detail, even right down to the kitchen door handles. Moments like that where they are bespoke and they have a sense of individual character and care about them, people have an affinity to that level of detail. For example, at CF Row which was previously a furniture store, we took that idea of craft and timber and applied that to our joinery. The handles in the kitchen are shaped in a way that caress the hand so that it's almost like a piece of furniture. So it's those little moments that people connect with and realise are special. U: What effect (if any) do you think the new Better Apartment Design Standards (BADS) will have on the quality of apartments being built moving forwards? PM: I think the experience of natural light and ventilation in the interiors. Again these are attributes that you would expect to experience in a home, so I applaud the ability to reduce southern facing apartments, greater natural light penetration and ventilation. U: There's been a bit of recent discussion around BADS and how it has raised the standard and quality of apartment design at the lower end, but has potentially had the unintended consequence of stifling innovation at the upper end. Do you agree? PM: Yes, in some cases it has. For example, what we have done at Elwood House is where we had a saddleback bedroom, that would be highly undesirable with BADS. So what we did in that case there, we have a perimeter balcony which becomes this garden space and allows natural light and creates a usable area which the bathroom interfaces with as well. When you experience it in the flesh, you understand it, but if you were to show someone on a plan it wouldn't comply. So going back to the original question I thin (BADS) does have its limits and I recall when we were presenting that project to the City of Port Phillip we had to show them Garden House in Carlton which had that same scenario, and it wasn't until they saw it in-situ that they could understand how it operates. I think we have to demonstrate very carefully the benefits when we break away from those BADS requirements. U: We're also seeing community engagement and a more fluid design process becoming more common with developers and their respective design teams as part of both the approval and marketing sales process. What are your thoughts on that shift towards a more targeted and engaging process with community and prospective buyers? PM: It makes common sense. It's like if you were to do your own home, you would consult with your neighbours. Think about it just on those terms, you need to consult with your neighbours and get their buy in and sometimes it can enhance the proposition you put forward. We have on a number of project whether it's medium density housing, commercial or mixed-use, we've held major community consultation meetings. One in particular was the Kensington mixed-use project Younghusband where we even received a letter of support from the community once submitted the application. Another more recently was in Richmond on Lennox Street, where we had community consultation as well. At the beginning people are always a bit apprehensive but then when the transparency and the trust comes in, people start to feel more comfortable. People are quite clever and they know medium density is going to continue and a good way to stop the urban sprawl, people are conscious of the urban sprawl so they do want to foster some medium density so I guess it's a balance isn't it? U: Looking at the Nightingale model, for example, where some of the smaller and emerging architecture firms are steering the ship both in terms of capital and design for the projects. Do you see some of the larger architectural practice's such as Woods Bagot becoming involved in these community driven projects and even potentially funding them either under the Nightingale brand or as part of a JV with a developer as we're seeing with Nightingale Brunswick East? PM: An interesting challenge for a large global organisation like Woods Bagot through its corporate structure to be able to fund a project, the ambition would be great but I think the logistics would be somewhat inhibiting. We're definitely in admiration of architectural practices that are putting their money where their mouth is, and influencing outcomes by funding these projects. I absolutely applaud that approach, and I think we need examples like that to show the shift that can happen.